Tamal is a trainee anaesthetist working at a hospital in Manchester. He grew up in Hertfordshire where his parents moved from India in the 1960’s. His older sister played a big part in bringing him up and taught him to bake. 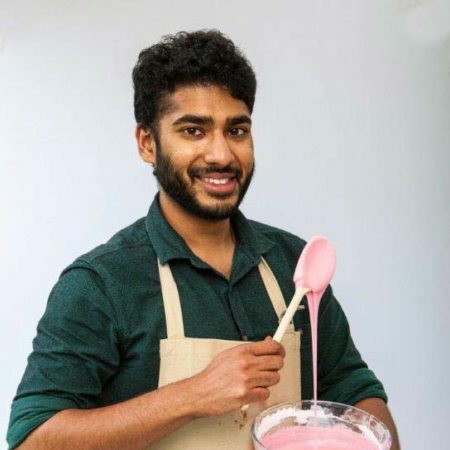 She gave Tamal the ultimate compliment when he was asked to bake her wedding cake. Since then, he is regularly asked to bake family and friend’s wedding cakes too – the largest one was 5 tiers.